Yosemite National Park has many hiking trails for one to explore and conquer. This well groomed hiking trail will take you to the top of Yosemite Falls and it makes for a great day hike. 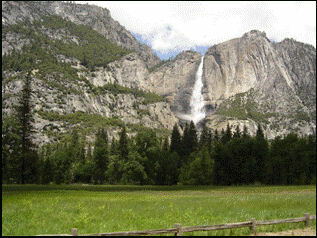 Yosemite Falls is a waterfall that is one of the tallest in the world. 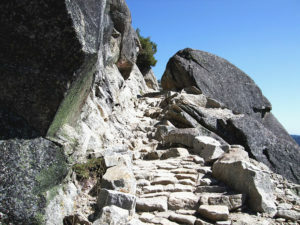 It is a moderate to strenuous hike that will take about 3-4 hours to make it to the top. The trail head begins near Yosemite Loge and the 7.2 mile (round trip) trail is full of switchbacks that puts the trail in shade and sunny areas. There are several lookout points along the way that will give you memorable views of Yosemite Valley and many of its known landmarks. It is 3.6 miles of hiking trail that is pretty vertical, but worth the effort. Even a child, who is in good health and shape, will enjoy hiking this trail. Directions: From the south entrance to the park (16 miles north of Oakhurst on highway 41), drive 4 miles on Wawona Road to the town of Wawona, and take a right on Chilnualna Falls Road. Drive 1.7 miles and park on the right side of the road. Cross the road and access the single-track trail. The trail continues at a lesser grade through the pines, through another meadow and then begins some more switchbacks. At about two miles in, a clearing offers great views of Wawona Dome, and soon afterward, the lower tier of Chilnualna Falls can be seen. The trail continues along the south face of the ridge, with great views of the valley below, eventually climbing another stone stairway to reach the lower tier of the falls. From there, you continue to the ascent to a trail junction. 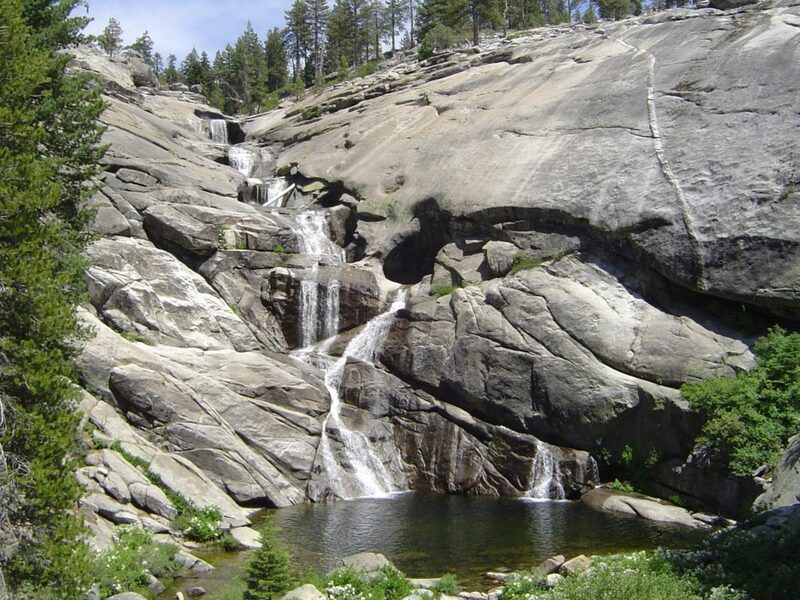 Here, you can scramble down the rocks to Chilnualna Creek and see the upper tier of the falls, which cascade down a series of six drops into a clear pool. 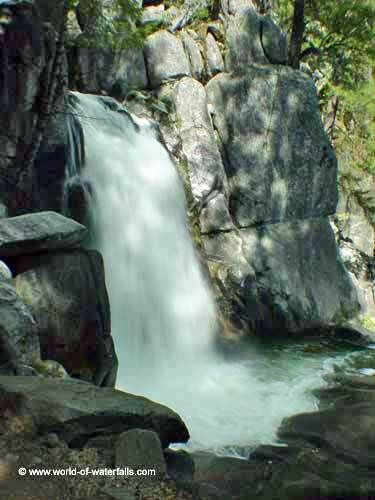 If you are careful, you can get close to the waterfall and enjoy great views of the valley as well. David Lockeretz is an avid hiker based in Long Beach, CA. He is the founder and chief author of L.A.’s newest hiking blog, www.nobodyhikesinla.com. When not found on the trails, he is a musician and music educator, founder of the music instruction networking site www.findmymusicteacher.com.